Five stars and two thumbs up for Ease of use of the program, innovation of very practical application, seamless integration with google calendar,and affordable terms. I would give 10 stars and four thumbs up, if I had them for your tremendous customer service, not only in addressing and resolving any issues but also in doing it an incredibly timely manner. I checked out at least 7 other reminder programs and yours is absolutely the best as are you. Totally customizable, easy to modify if needs arise. Very very reliable. Had one issue after 8 months of use (my goof up) and Matthew resolved it in under two hours after notification.. You just don't get that kind of responsiveness in most markets. My patients all love the reminders, whether by phone for the older gang that doesn't use smart phones as well as the rest who get email and text reminders! No more "I forgot about my appointment", so no more scrambling to find make up appointment or money left on the table. Can't say enough. It was such a relief for my new business to have found this program, saves me 45 minutes each work day, that's worth every penny! We absolutely love Appointment Reminder. It has the professional look that we need and our clients absolutely love its convenience. Can't beat the price either. Just try it and you won't be disappointed. We love Appointment Reminder. It has been a wonderful asset to help remind clients of upcoming appointments and court dates. It is easy to use, which makes it that much better! Appointment Reminder integrates well with Google Calendar and can handle a variety of appointment scenarios. Matthew is very responsive with setup & support. Highly recommend. Appointment Reminder works perfectly in the background from google calendar. I'm a busy sole osteopath and Appointment Reminder paid for itself in the first day I used it. It is a set and forget app. Well done, Matt! This is the FIRST appointment reminder program that checked all of our boxes. It works off of google calendar, you don't need to add clients one by one- it pulls them from the calendar, there are several sending scenario options, the client can confirm through text or email and their response is shown IN google calendar, whaaaat?! AWESOME. Also, Matthew is super helpful, and seems like a pretty cool dude. We are a tattoo studio based in Canada, and even with the time difference have no troubles with communication / response time from Matthew. THANKS!! 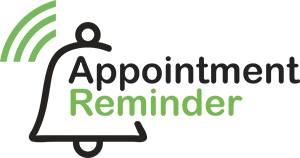 Appointment Reminder in other countries. We work best in following countries?